The Akita is one of Seven Breeds designated as a National Monument in his native country of Japan. Bred as a versatile hunting dog in the rugged mountains of Northern Japan, the breed is a wonderful combination of dignity with good nature, alert courage and docility. There is a spiritual significance attached to the Akita. In Japan they are affectionately regarded as loyal companions and pets, protectors of the home and a symbol of good health, when a child is born, the proud family will usually receive a small statue of an Akita signifying health, happiness, and a long-life. If a person is ill, friends will send a small statue of an Akita to express their wish for a speedy recovery. The renowned Helen Keller is credited with bringing the first Akita into the United States in 1937. The breed's popularity in the United States following World War II may be attributed to American servicemen of the occupational forces, who so admired the noble dogs that they took them home to their families. 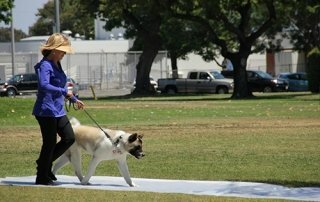 They were attracted to the Akita because of the breed's intelligence and adaptability to different situations. The Akita Club of America was founded in 1956. The breed was admitted to registration in the American Kennel Club Stud Book in October 1972, and to regular show classification in the Working Group beginning April 4, 1973. PREHISTORIC JAPAN— Excavations of Joman Period (about 10,000 years ago) sites have yielded the remains of these dogs, which are similar in type to those found with many of the primitive people of the Arctic as well as Korea, China and Japan Indonesia, and Australia. TRADING PARTNERS— Trade routes from the north reached the Ainu people of Hokkaido and Karafuto from Siberia and Mongolia. In the south, the Japanese alternately fought and traded with Korea. Their premier partner was the already-established empire of China. Their vigorous trade relationship stretches back over 2500 years ago. OPEN TO THE US & EUROPE— Once again, Japan began a cycle of interest in all-things foreign, focusing on the Western world this time. European mining engineers began working in the mines of northern Honshu's mountains. Part of this area is now known as Akita Prefecture, but during the 1800s, it was called Dewa, and the main city, Odate. PRESERVATION AND MOVEMENT BEGINS— A push towards preservation of the native Japanese dogs grew out of the increasing sense of Japanese nationalism that ushered in the twentieth century. As Japanese interest began to focus on their own history and culture, they began paying attention to the dogs that had been in Japan throughout time. WORLD WAR II— Keeping large dogs alive in a country on a war-time footing proved almost impossible. Not only was food restricted, but dog fur was used to line military clothing. Dogs that survived were either working with the police or hidden by their owners, an easier task in the more rural areas. 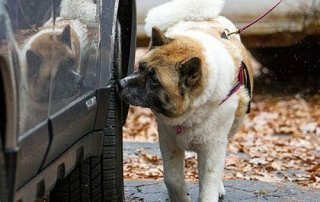 THE AKITA IN AMERICA— The breed caught the eye and heart of many American servicemen after the war, and a cottage industry quickly arose to supply the demand for Akita pets. AKC RECOGNITION— Spurred by their common interest in the breed. various breed clubs formed. AKC accepted the new breed into Miscellaneous in 1956, but wrangling between groups of owners delayed full registration. In 1955 Mr. M.K. Spelmeyer founded the Akita Dog Association of America. THE INTERIM YEARS IN JAPAN— After the war, the Japanese breeders wanted to eradicate any sign of what they regarded as its effects. Eventually, two lines gained became the most prominent in post-war Japan. Born about the same time in the Akita/Odate area were Kongo-Go and Goromaru-Go. MODERN JAPAN DOG CLUBS— Three organizations still exist to register Akitas. AKIHO is still the largest and most influential body dealing with Akitas. 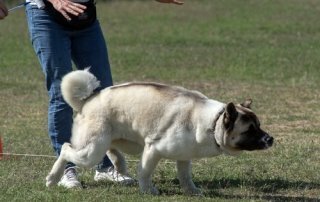 JAPANESE / AMERICAN AKITAS— Problems between what has come to be called the American type Akita and the "Japanese" Akita arose first in European and South and Central American countries where the Akita is shown at shows governed by the Federation Cynologie International or FCI. JIM SJOBERG— Whether AKIHO standard stays as it has been or moves more into line with both the choices of their judges as well as the JKC standard remains to be seen. Bouyet, Barbara. Akita, Treasure of Japan. Montecito, Ca: MIP Publishing, 1992. Collcutt, Martin,.Marius Jansen, and Isao Kumakura. A Cultural Atlas of Japan. New York: Facts on File, Inc, 1988. Hiraizumi, Ryanosuke, personal communication to Tatsuo Kimura. Kajiwara, Naoto, translated by Tatsuo Kimura. My Thoughts on the Akita Dog (Tokyo: Shin Journal-sha, 1975). Kimura, Tatsuo, "Rambling Through Japan, Fall, 1992," Akita World (l2:l, Jan/Feb., 1993). Kuga, Koun, translated by Tatsuo Kimura. "Japanese Dogs," Akita World (13:3, May/June, 1994). 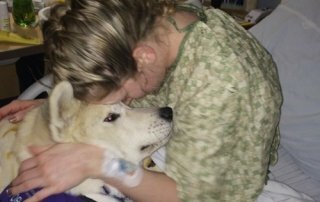 Linderman, Joan M. and Virginia Funk, The Complete Akita. New York: Howell Book House, Inc, 1987. Okada Mutsuo, translated by Tatsuo Kimura, "A History of the Kongo Line," Akita World (13: 1, January/February, 1994). Sanson, George, A History of Japan, 1334-1615. (Stanford: Stanford University Press, 1961). 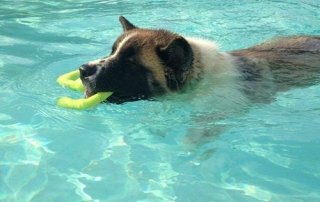 In the United States and Canada, the Akita is a member of the Working Group....Read More! Your donation will help fund this very worthwhile project. Please visit this page often to view a listing of contributors. The Akita is one of Seven Breeds designated as a National Monument in his native country of Japan. Bred as a versatile hunting dog in the rugged mountains of Northern Japan,...Continue Reading! We have a wealth of information that we hope will help all Akita owners as well as the health professionals who care for them.....Learn More! CHIC's DNA Repository is open for submissions.